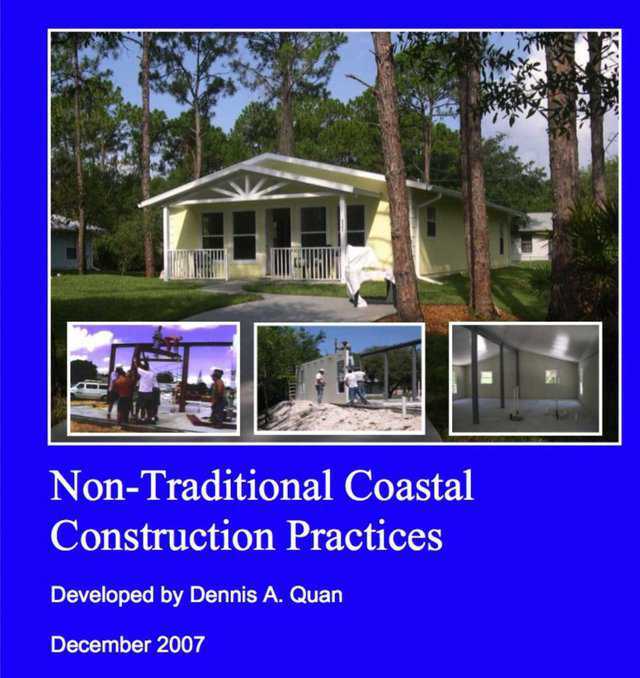 The American Society of Civil Engineers (ASCE) publishes a bimonthly newsletter called the Construction Zone for professionals who work in the construction industry. 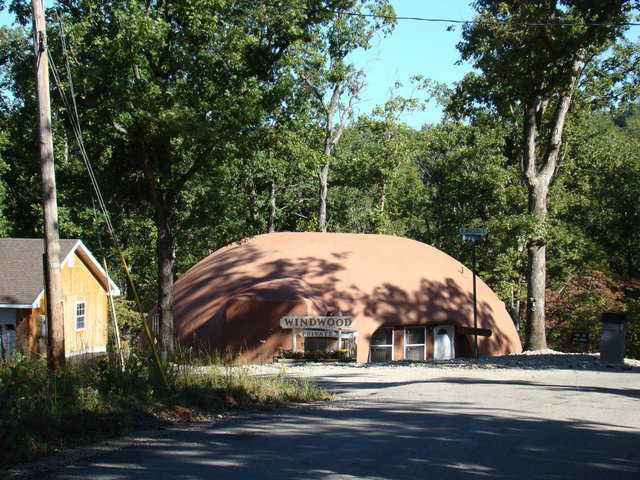 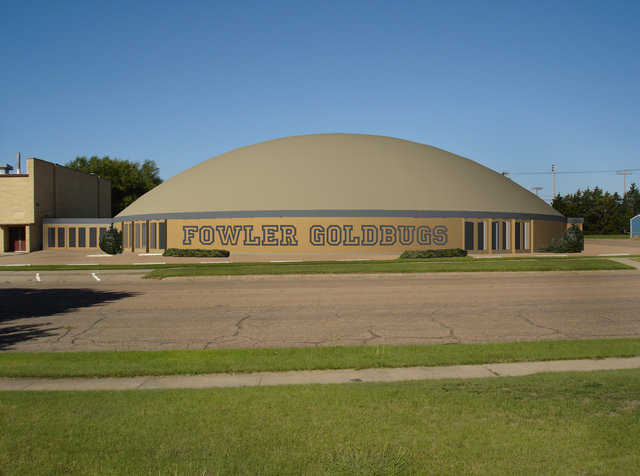 In the September/October issue, the newsletter featured Monolithic Dome buildings. 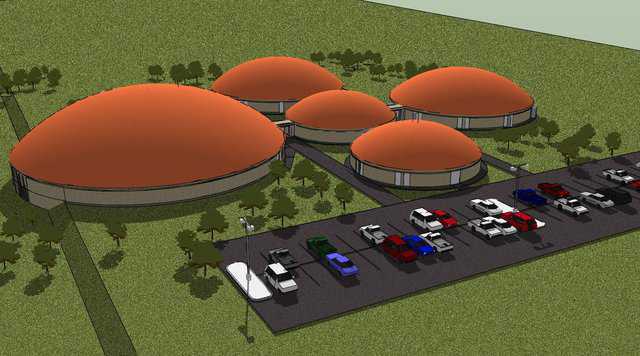 Can the innocuous armadillo inspire the building of a Monolithic Dome? 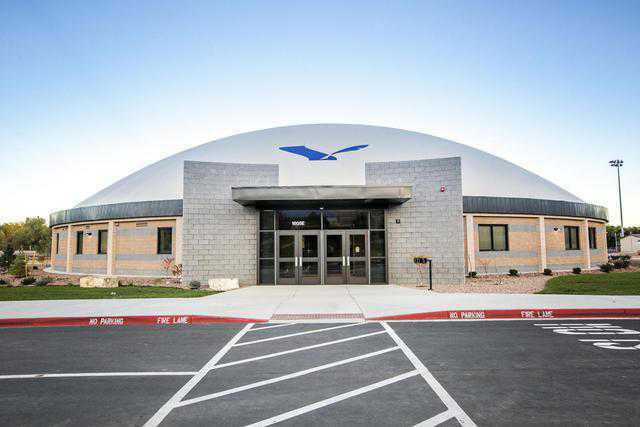 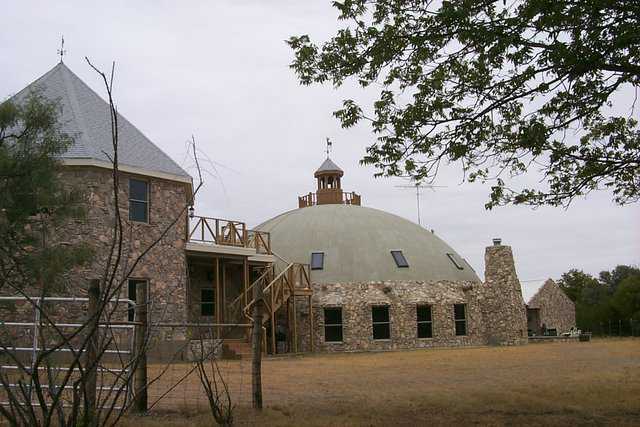 I wondered about that when I drove to Clifton, Texas to interview Jim Gibbons and see his new dome home. 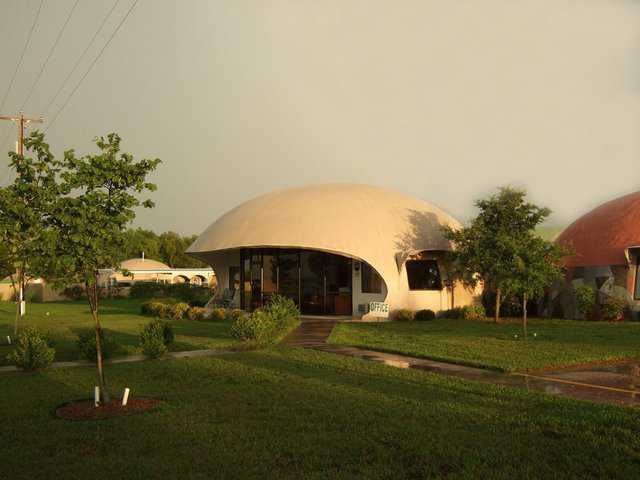 After all, the armadillo is both Texan and the inhabitant of an impenetrable, dome-shaped shell. 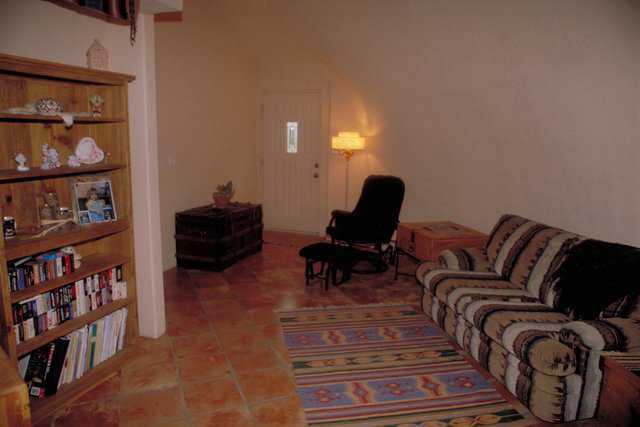 And, as I soon learned, those are qualities Jim admires. 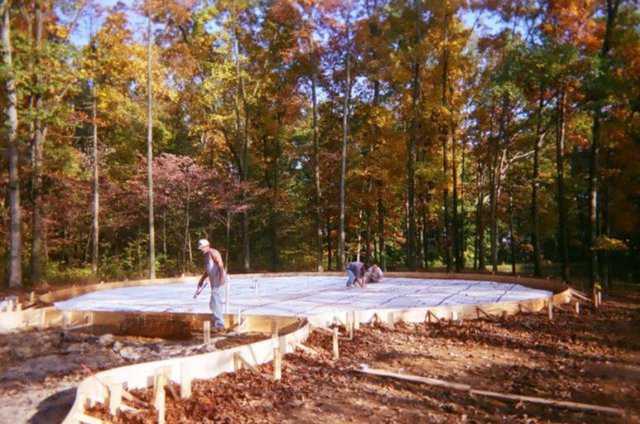 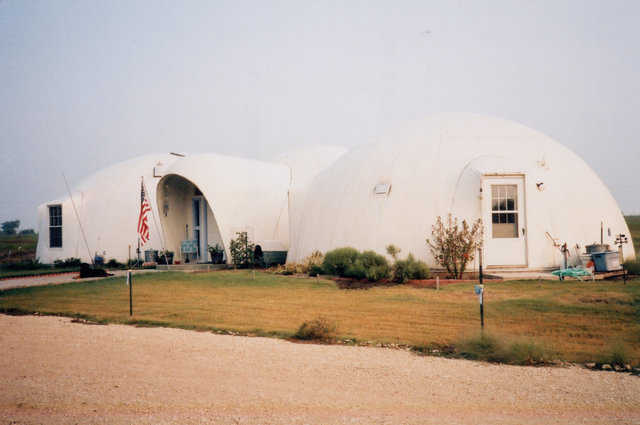 Theresa and Patrick O’Dell have always been interested in energy-efficient structures, but their interest peaked in 2000 when they saw an ad for Monolithic Domes in Mother Earth News. 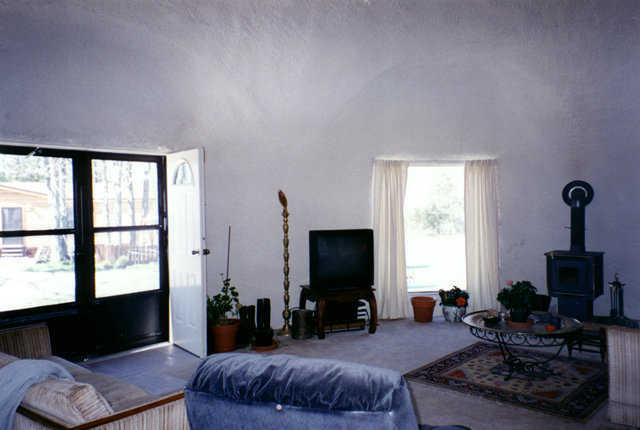 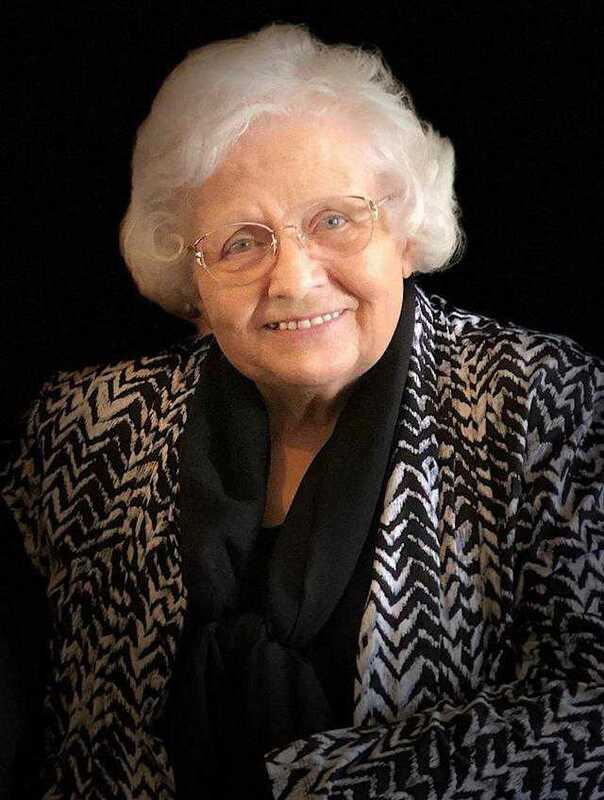 Patrick said, "Our last house was a conventional, 2000 square-foot home. 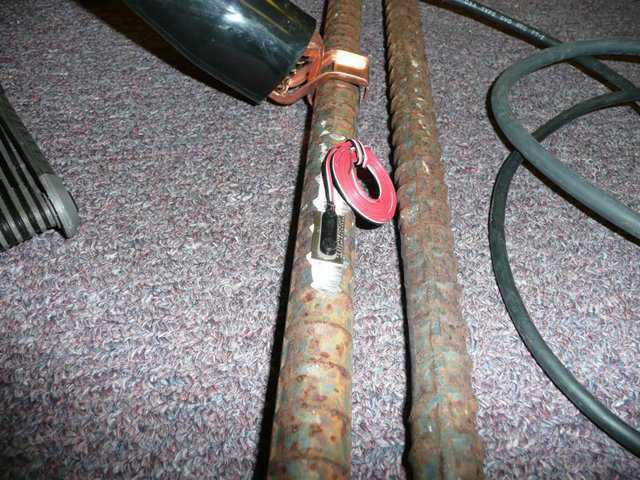 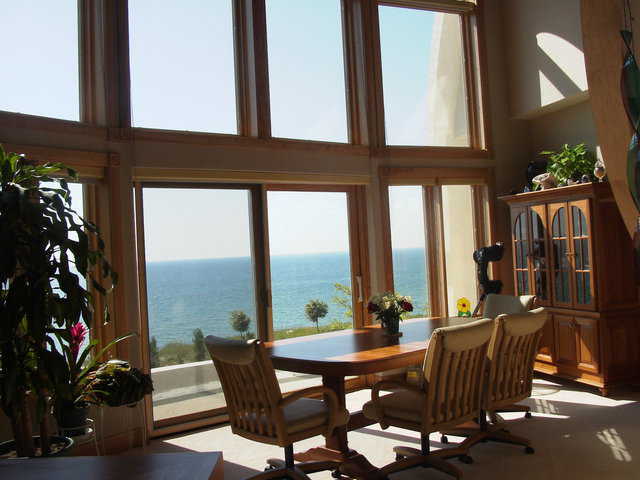 It was all-electric and our utility bills averaged about $120 a month. 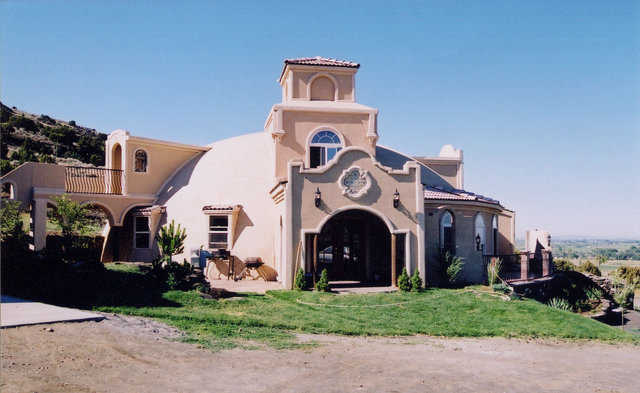 In Spanish, Charca means pond or puddle and Casa means house. 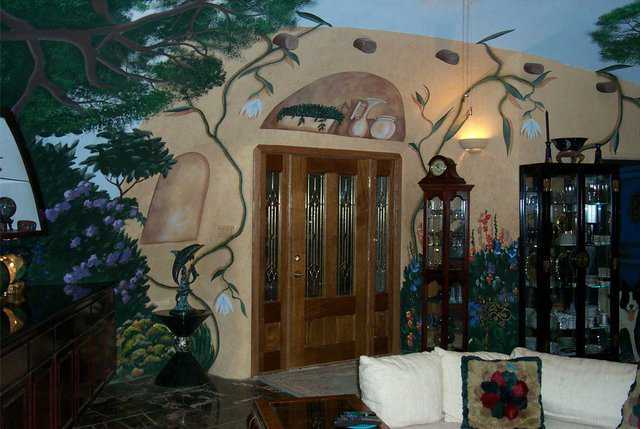 Hence, the name Charca Casa or house by a pond. 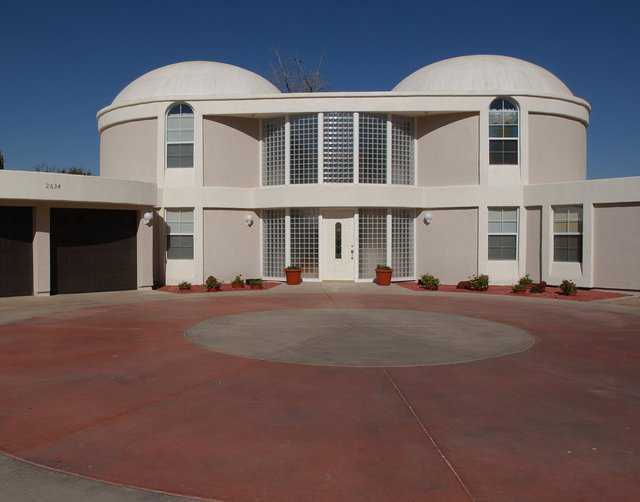 That acre pond functions as a spectacular backdrop for the spacious patio that fronts this fabulous Monolithic Dome home. 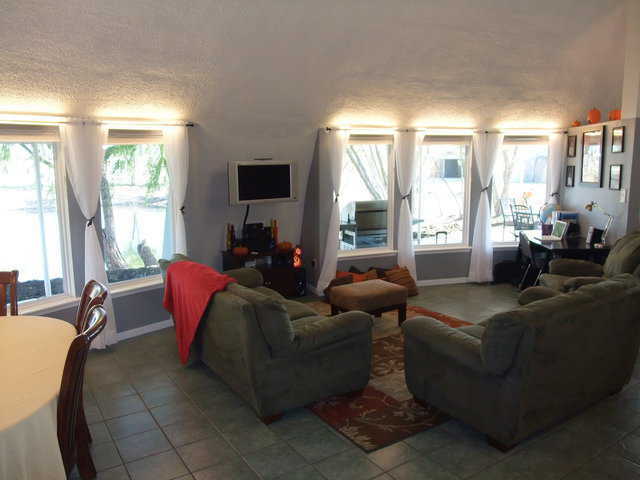 A thirty-two-foot expanse of windows in the living room provides a view of the activities on the patio and the pond. 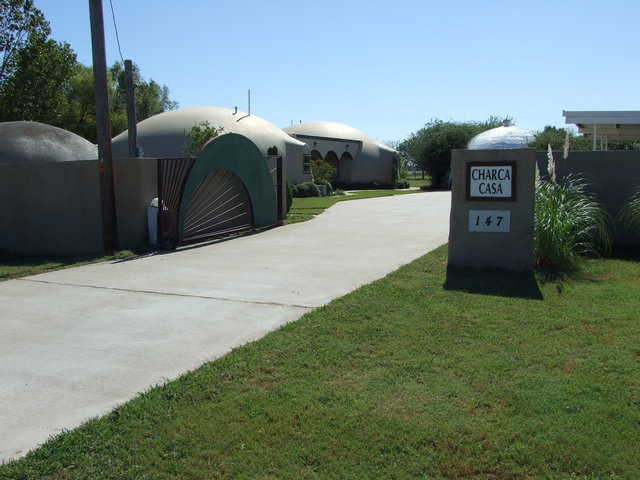 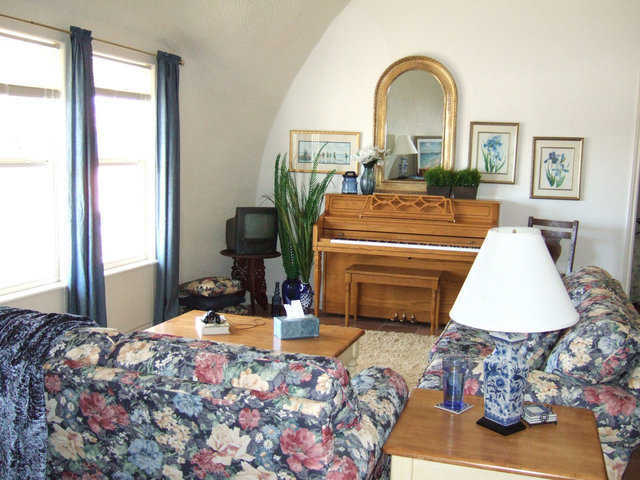 Charca Casa is an attractive and interesting dome-home and is available for tours by appointment. 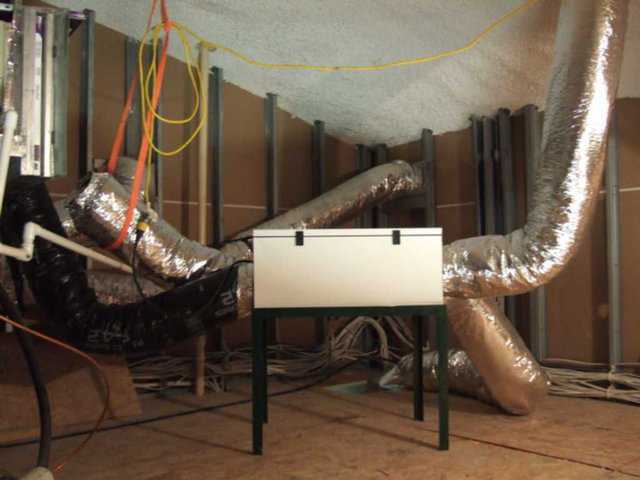 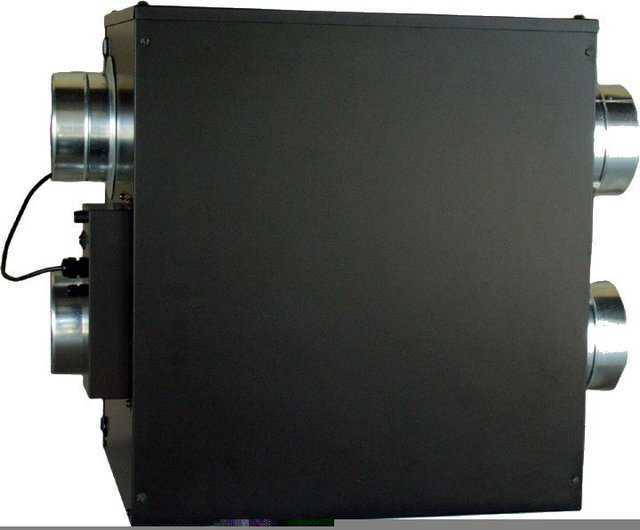 I installed a RenewAire EV130 ERV that’s small, quiet and efficient in the attic of our home in about three hours. 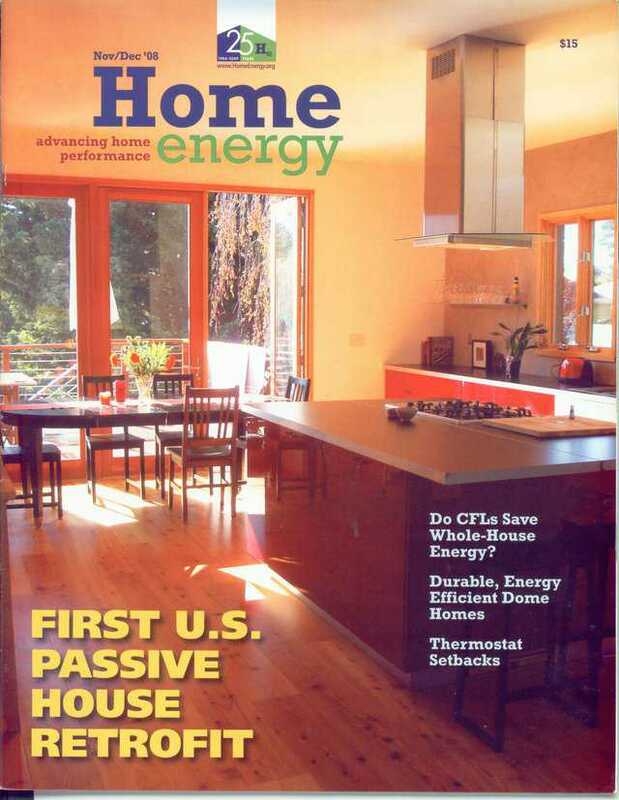 For 25 years, Home Energy magazine has been providing objective and practical information on residential energy efficiency and performance. 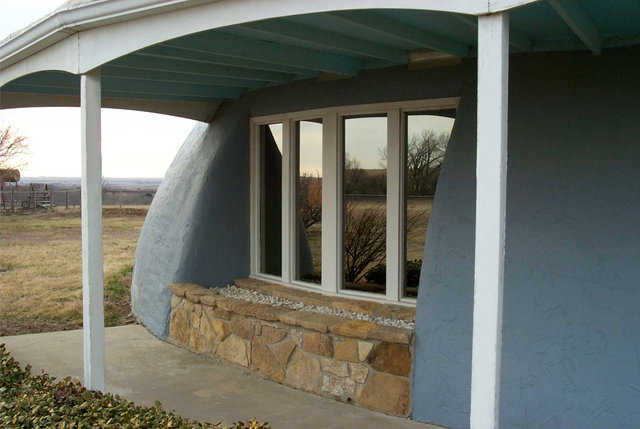 Most of the magazine’s editorial content comes directly from the people researching and employing innovative design, building and remodeling practices and products. 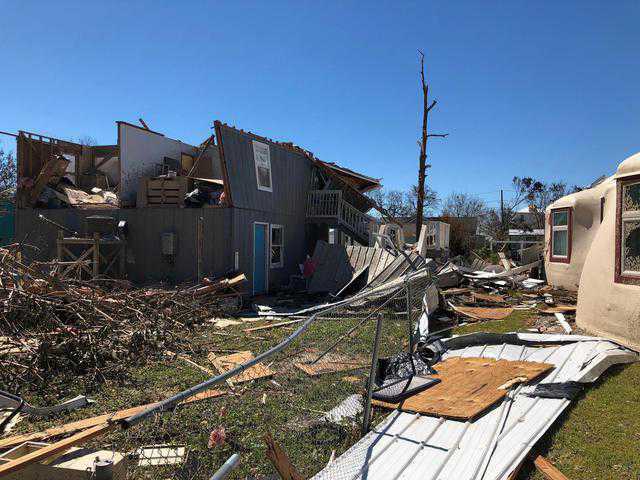 On September 1, Category 2 Hurricane Gustav blasted our southern coast, killing 138 people and causing an estimated $15 billion in damages. 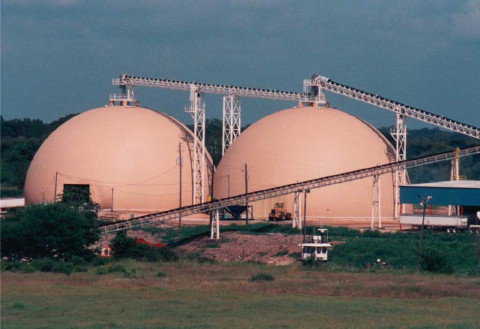 Just twelve days later, Category 2 Hurricane Ike, the third costliest U.S. hurricane and the most expensive in Texas history, killed 96 people and destroyed property to the tune of $27 billion. 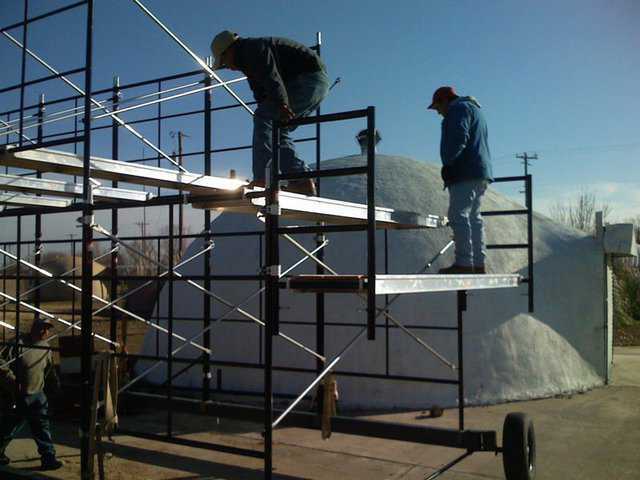 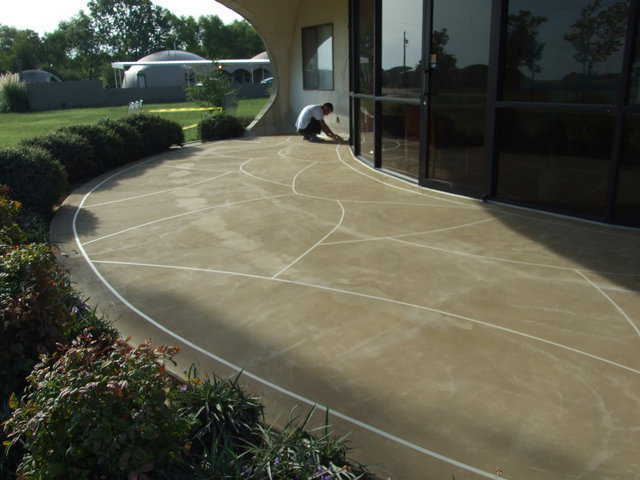 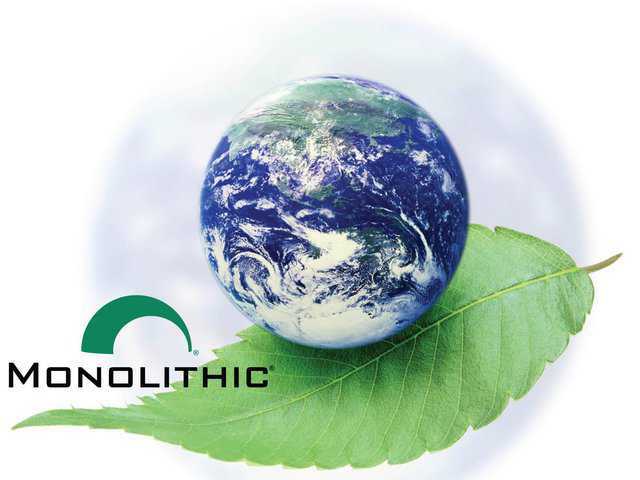 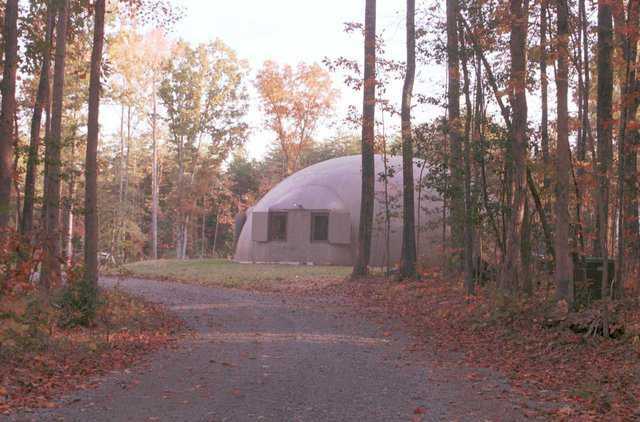 Monolithic Domes not only survive but protect…. 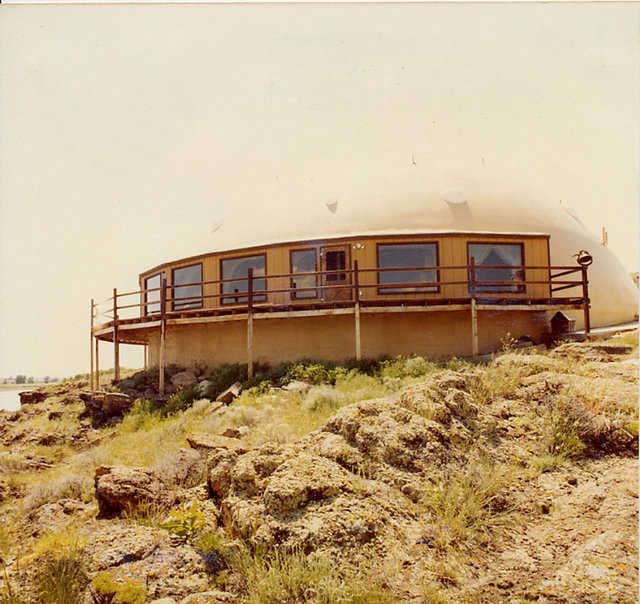 When Mark and I decided to build a dome, we toured several domes and were extremely discouraged with the lack of aesthetic consideration given to the dome’s exterior and the unimaginative floor plans found inside. 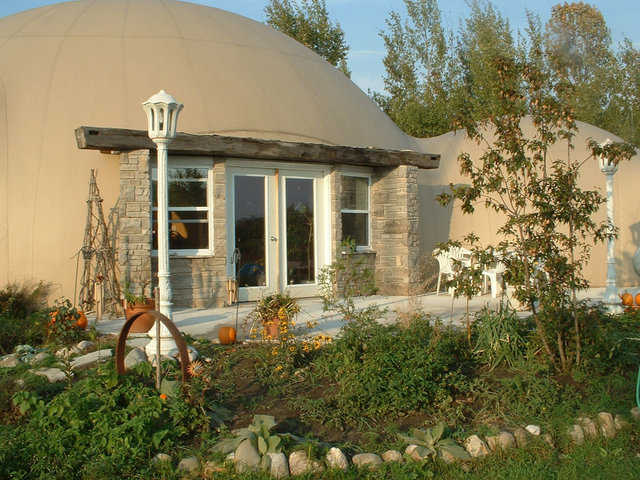 We were having second thoughts about building a dome – if we couldn’t build a beautiful dome, we would just keep the home we had. 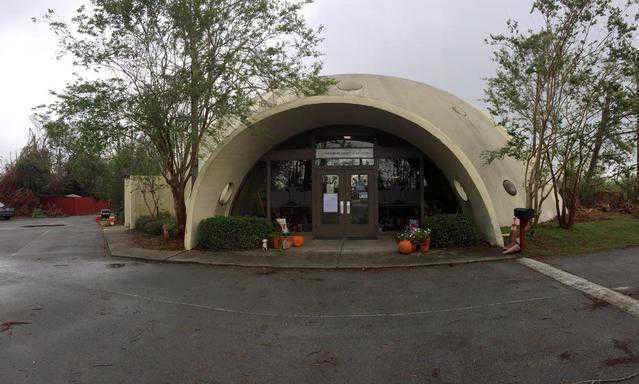 But after visiting the Eye of the Storm, Mark decided he could design a beautiful dome and enlisted the help of architect Jonathan Zimmerman and designer Robert Bissett. 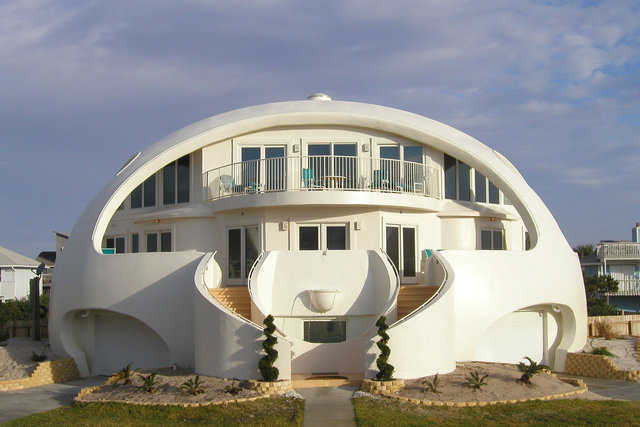 The trio’s collaboration on the Dome of a Home is proof that beautiful domes are possible. 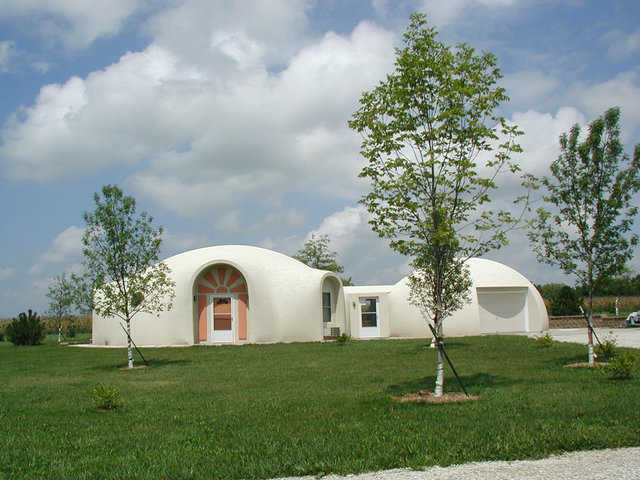 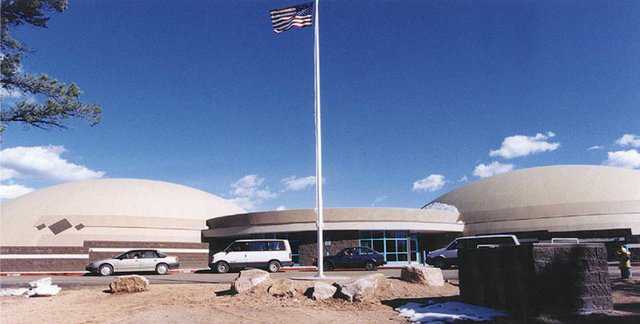 While Monolithic Domes are growing in number every day, they remain a novelty to most people. 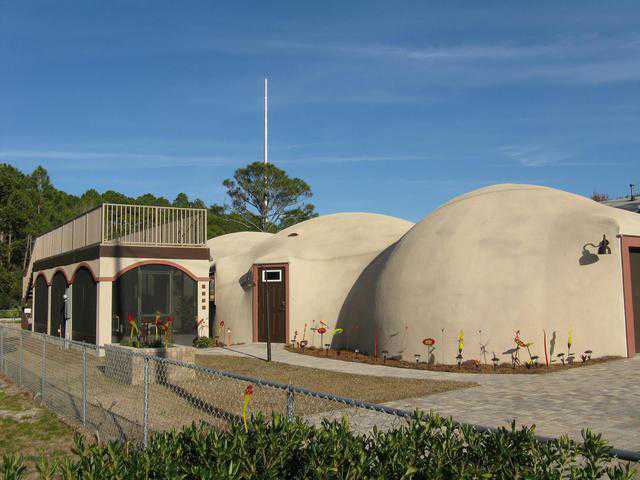 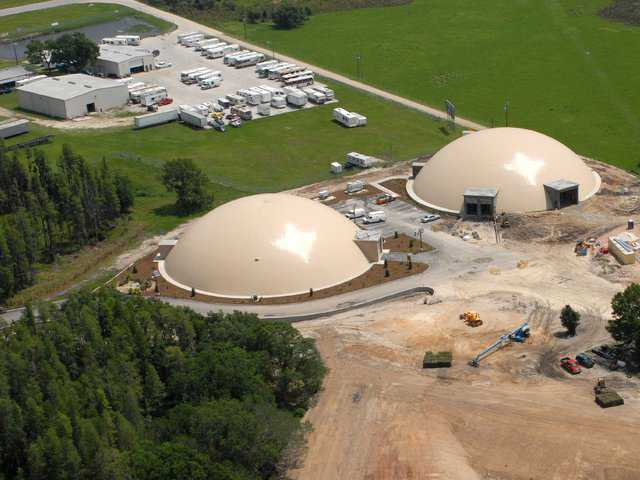 That’s why when two domes went up alongside the highway between Orlando and Tampa recently, curious passersby began to wonder just what was inside those buildings. 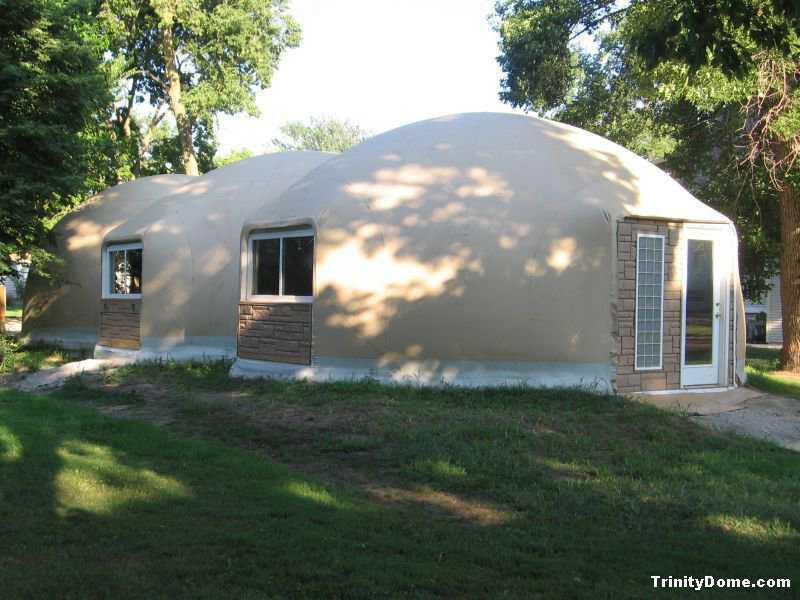 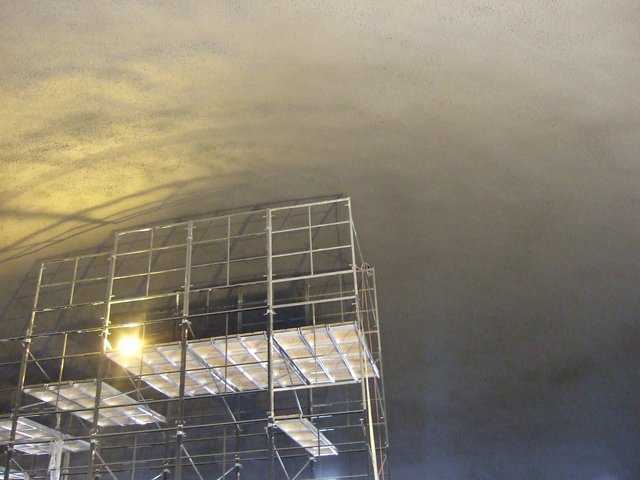 KDAF-TV, The 33, a television station in the Dallas/Fort Worth area, sent a news crew to the Monolithic Dome Institute to find out why dome buildings are considered so environmentally friendly. 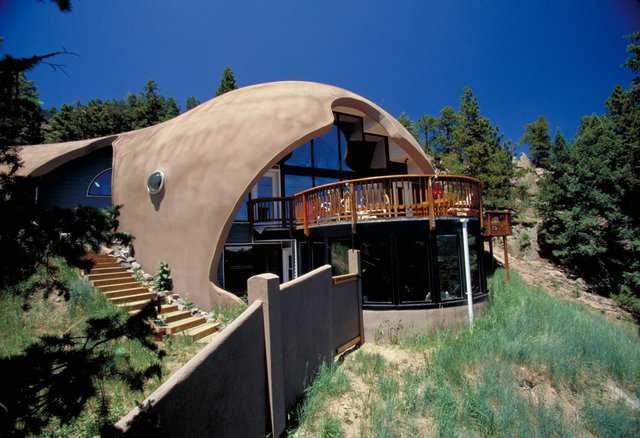 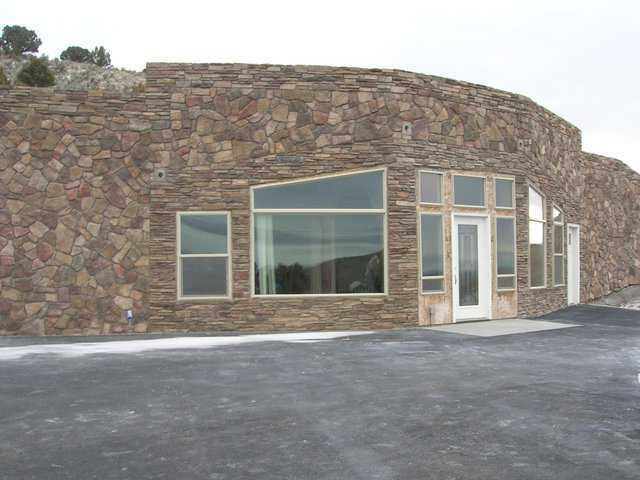 Debbie and Tom Garlocks’ reasons for wanting this Monolithic Dome home were as unique as the residence itself. 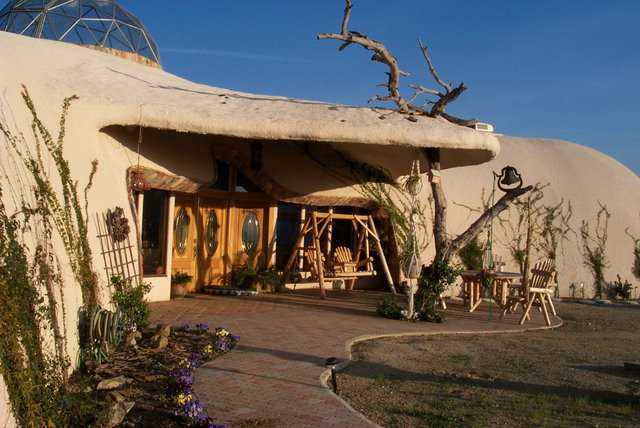 He wanted disaster resistance, sturdiness, self-sufficency, energy-efficiency and low maintenance. 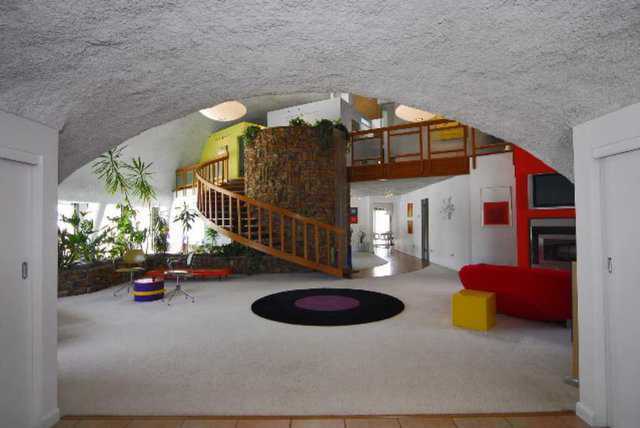 But she was attracted by its 3800 square feet of living space, its waterfall, greenhouse and hydroponic garden. 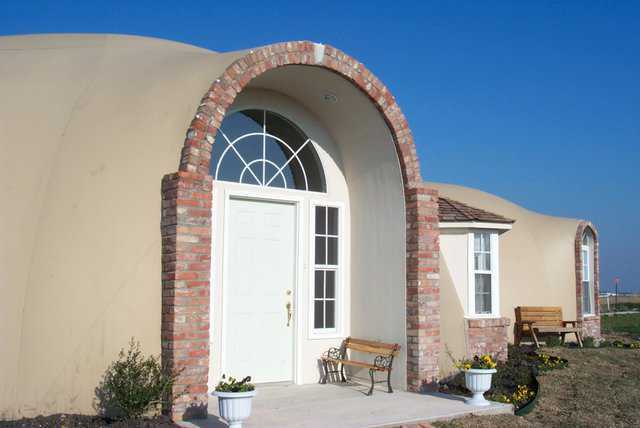 Louisiana residents know all too well what a hurricane can do to traditional stick and brick homes. 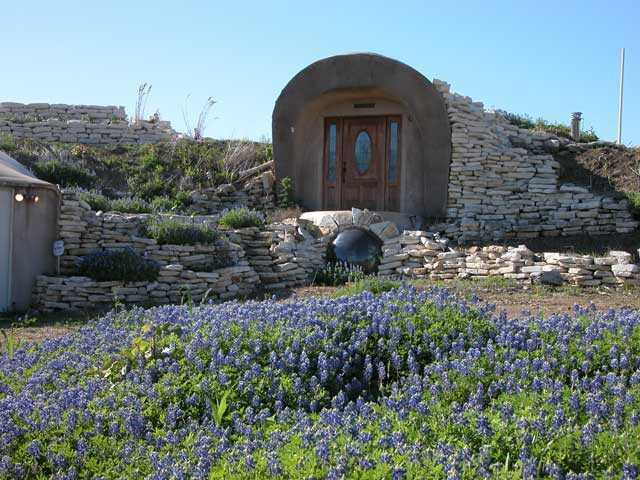 On Thursday, September 4th, Al Schwarz’s earth-sheltered, Monolithic Dome home, called Robot Ranch and located in Ferris, Texas, will be featured on the new HGTV series Extreme Living.